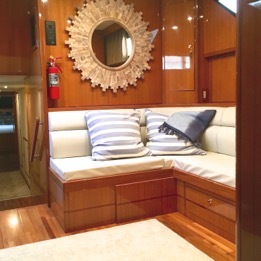 A distinct advantage of chartering a motor yacht is our spacious design…Everyone has plenty of room to spread out and relax in comfort! 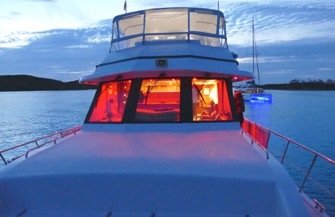 All cabins have air conditioning and adjustable volume for the salon based stereo. 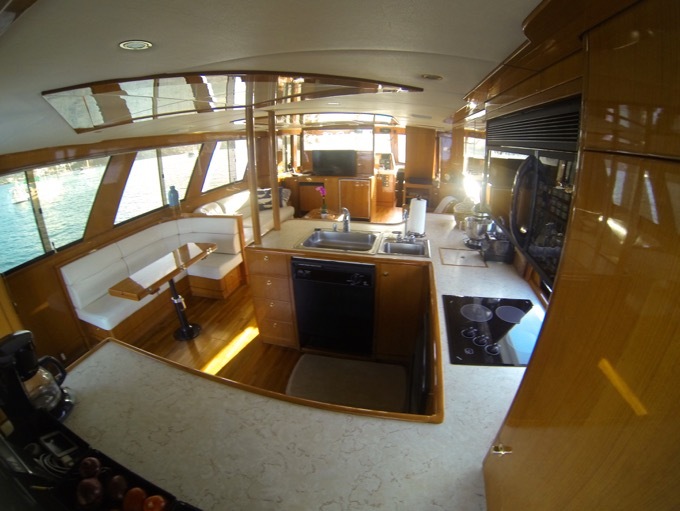 McGregor's rich interior is finished in a high gloss cherry wood, a look only found on a classic yacht. 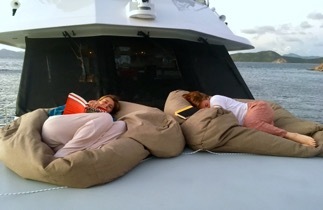 Motor yacht McGregor III's MASTER SUITE (in yellow above) is luxurious. 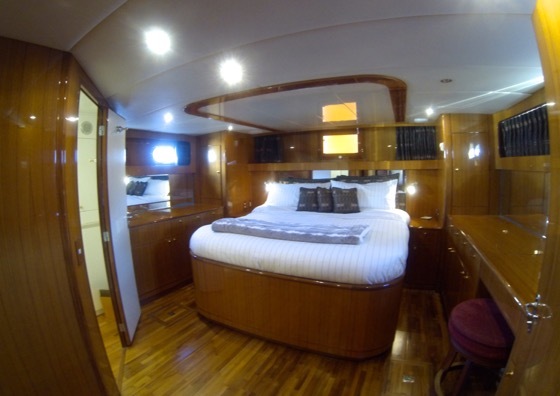 With its king sized bed, TV & Media player the cabin is ideal for honeymooners or mom and dad wanting a little extra space. 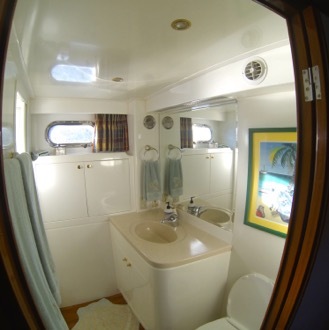 Each stateroom has it's own private bathroom and shower. 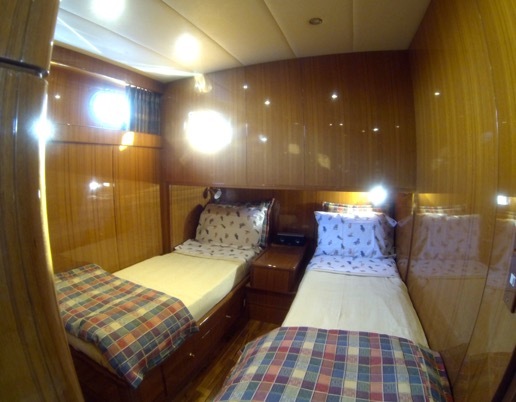 The TWIN CABIN (in light blue) has two single beds. 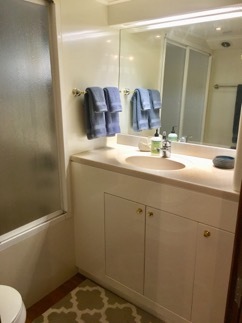 This cabin has a large hanging closet, and ample drawer storage. Hopefully, in the near future, this Twin Room will be convertible to also offer 1 King bed while maintaining the storage space! The STUDY is a comfortable hang out/office with a Large TV for movies. The sofa pulls out to accommodate 1-2 guests with storage and a privacy curtain. 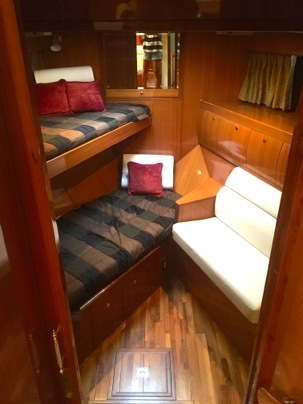 The FORWARD (in green) cabin contains upper and lower single bunks, TV/DVD and is a favorite hangout for kids, especially when feasting on Captain's ice cream! 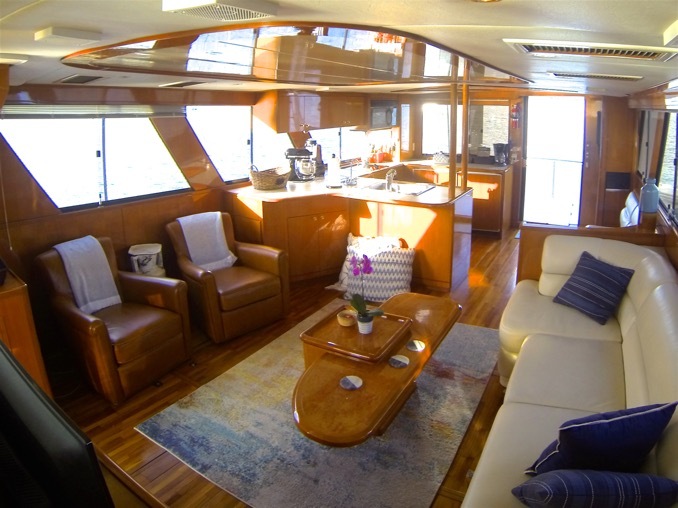 The MAIN DECK SALON is outfitted with leather furniture, perfect for taking a break from the sun, snuggling up with a good book or watching a movie. 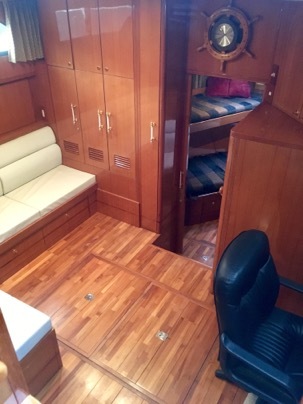 The salon's rich cherry wood gives McGregor III the warm feeling found only in a classic yacht! The Galley and Salon are open and bright! 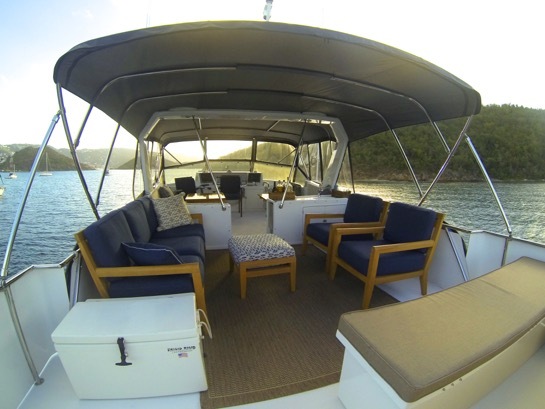 McGregor’s FOREDECK offers ample soft bench seating and 2 large bean bags (that we call "The Beach") ideal for sunbathing and relaxing! ALFRESCO (OUTDOOR) DINING with shaded lunches and candle lit dinners assure your meals will be comfortable and picturesque. 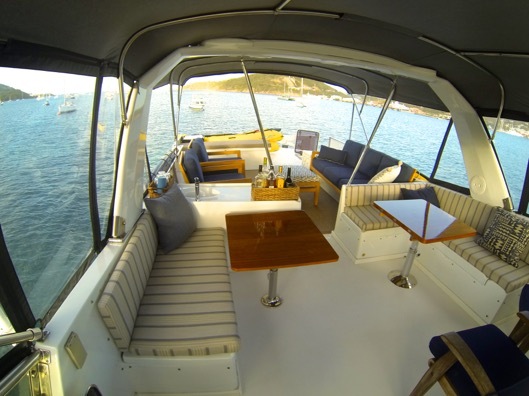 The Flybridge aka "Sky Lounge" has very comfortable shaded teak furniture, a padded sun lounge, wet bar and ice maker. "A Yeti 110 Iced down with some Silver Bullets"